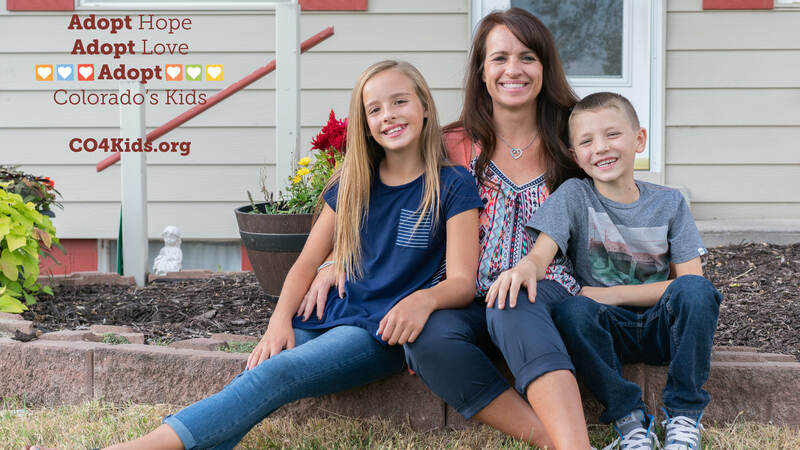 "Adoption isn’t always easy and parents aren’t perfect, but you can still provide the consistency and family that every child needs." 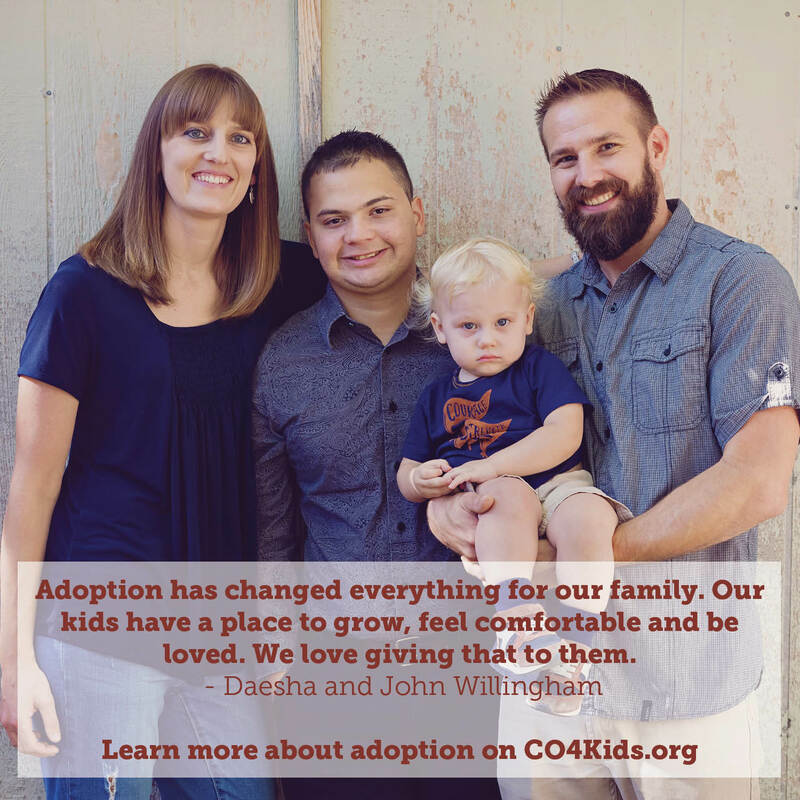 "Adoption has changed everything for our family. Our kids have a place to grow, feel comfortable and be loved. We love giving that to them." 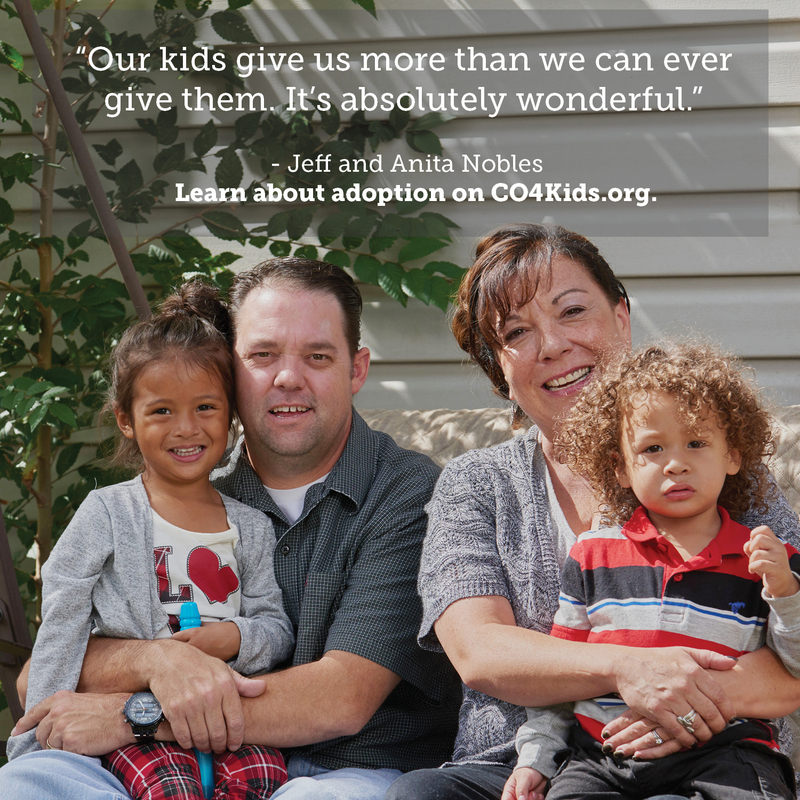 "We knew we wanted to adopt, and we knew there were kids in our community who needed a family. It hasn’t always been easy, but it’s worth it." 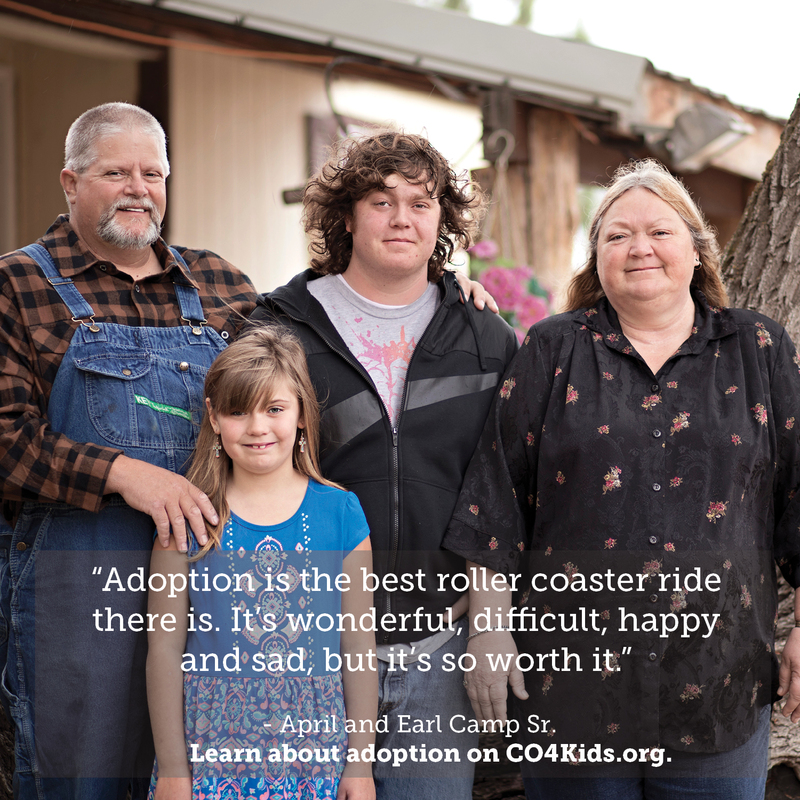 "Kids flourish when they have stability, and that’s what adoption creates. It’s a permanent home where you can grow emotionally, physically and spiritually." 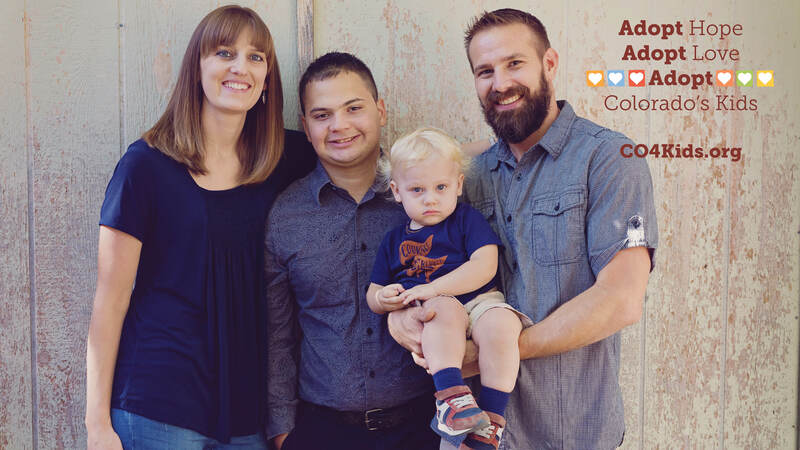 "All of our kids are different. 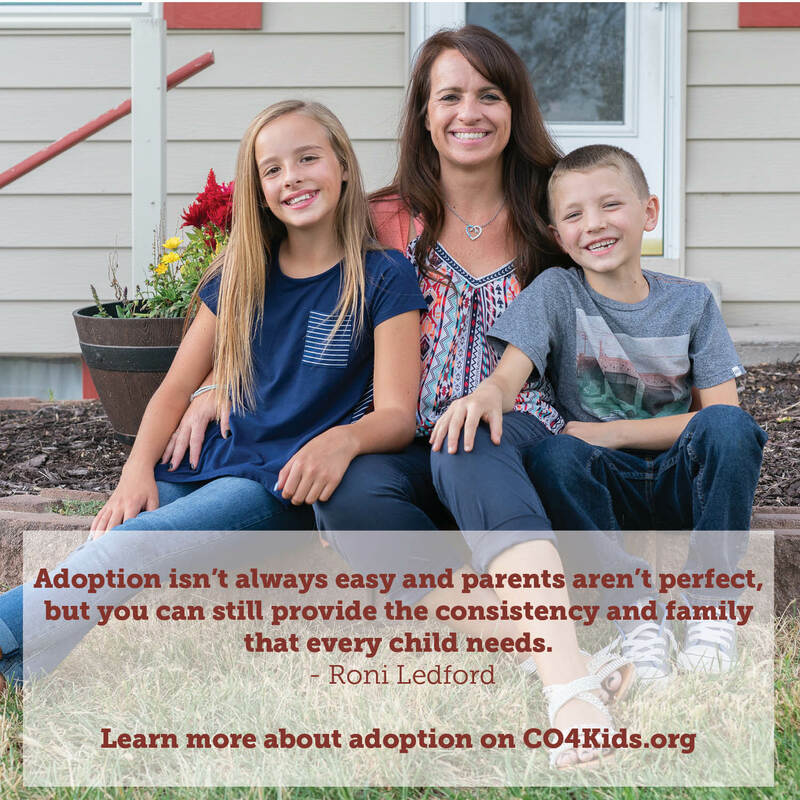 Learning how to balance everyone’s needs and personalities is the fun part – but also the challenge – of adoption." 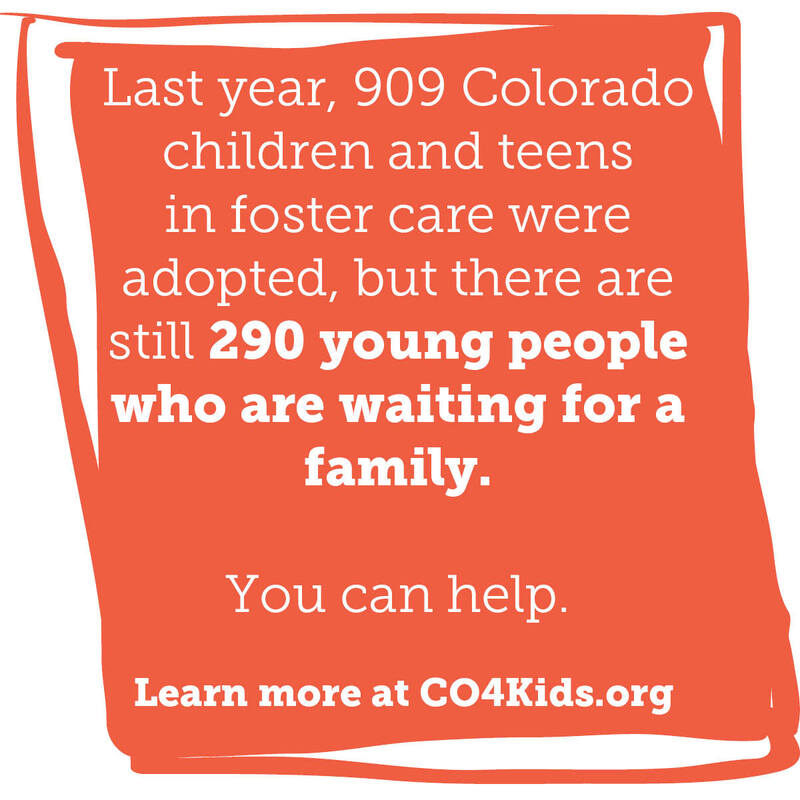 Text reads: Last year, 909 Colorado children and teens in foster care were adopted, but there are still 290 young people who are waiting for a family. You can help. 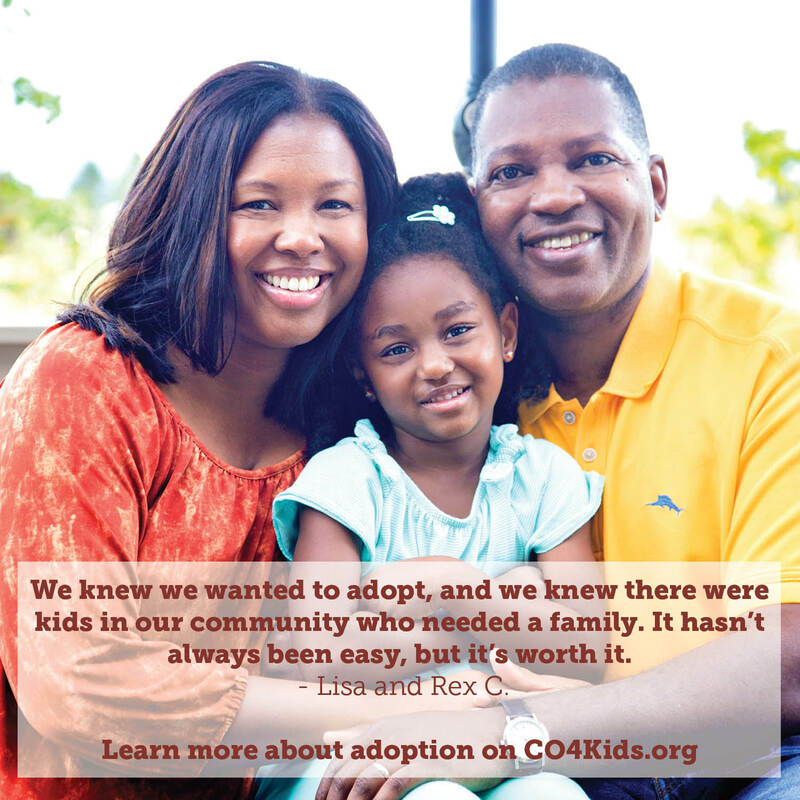 Learn more at CO4Kids.org. 11 x 17. Foster recruitment focus. 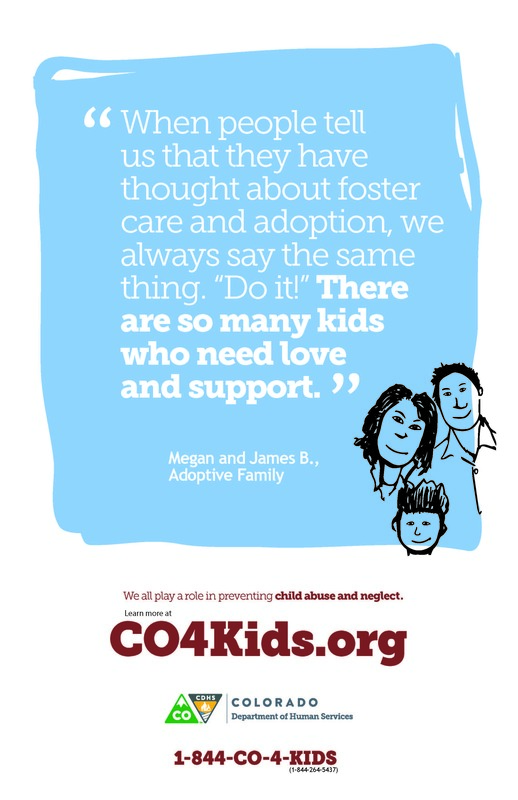 Use these posters to inform public perception, and to tell others how we all have a role to support Colorado kids. 11 x 17. Adoption recruitment focus. 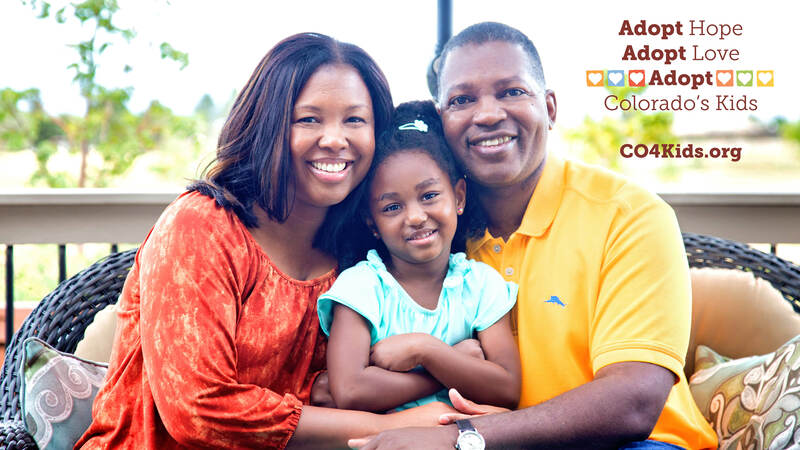 Use these posters to inform public perception, and to tell others how we all have a role to support Colorado kids. Quote: "People always tell us, You guys are such a blessing to the kids. Quite honestly, they’re a blessing to us!" 11 x 17. 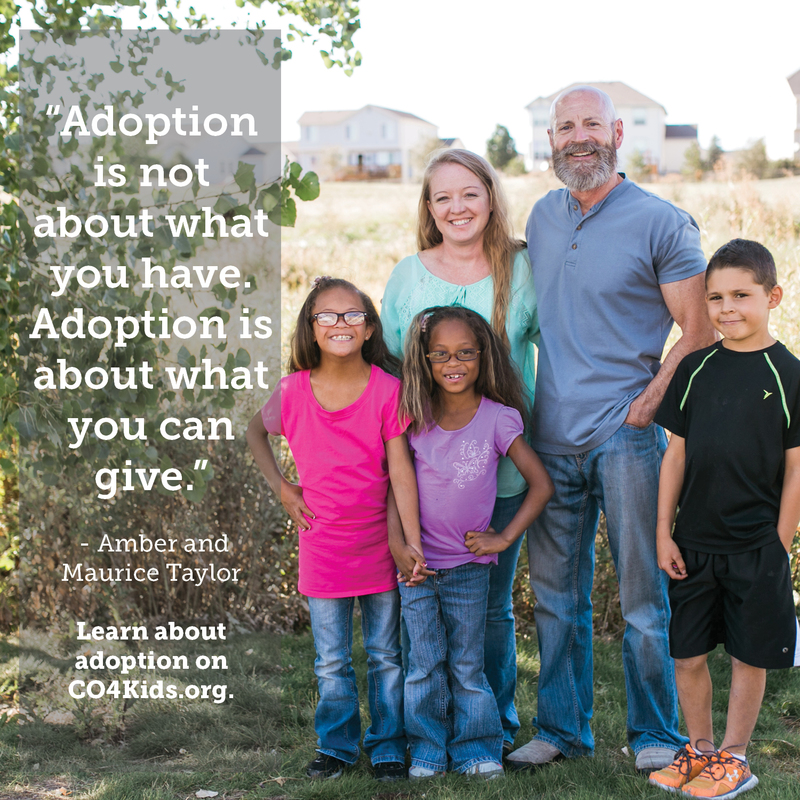 Foster and Adoptive focus. 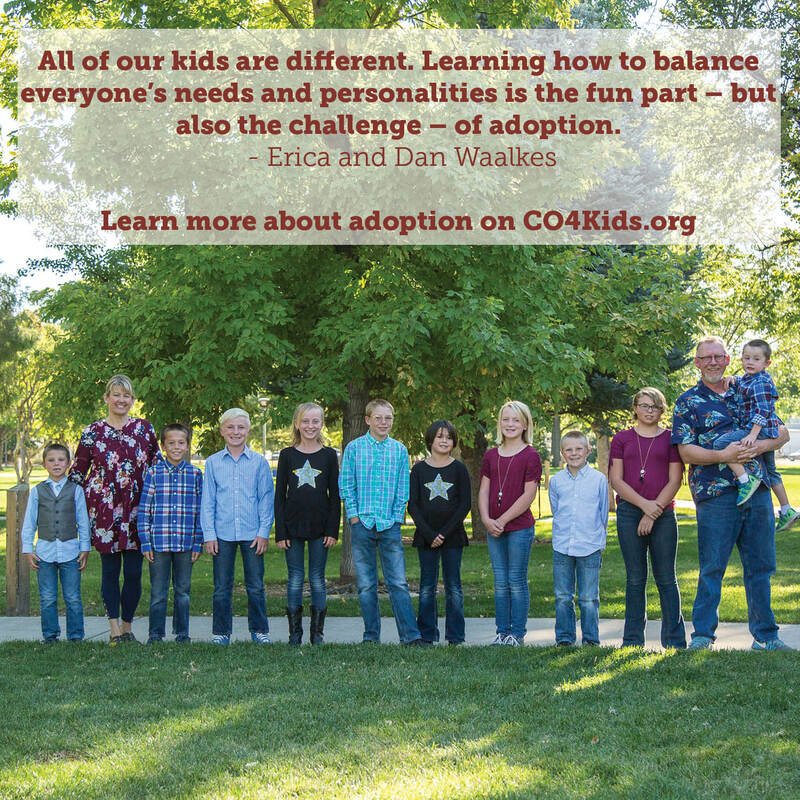 Use these posters to recruit, inform public perception, and to tell others how we all have a role to support Colorado kids. 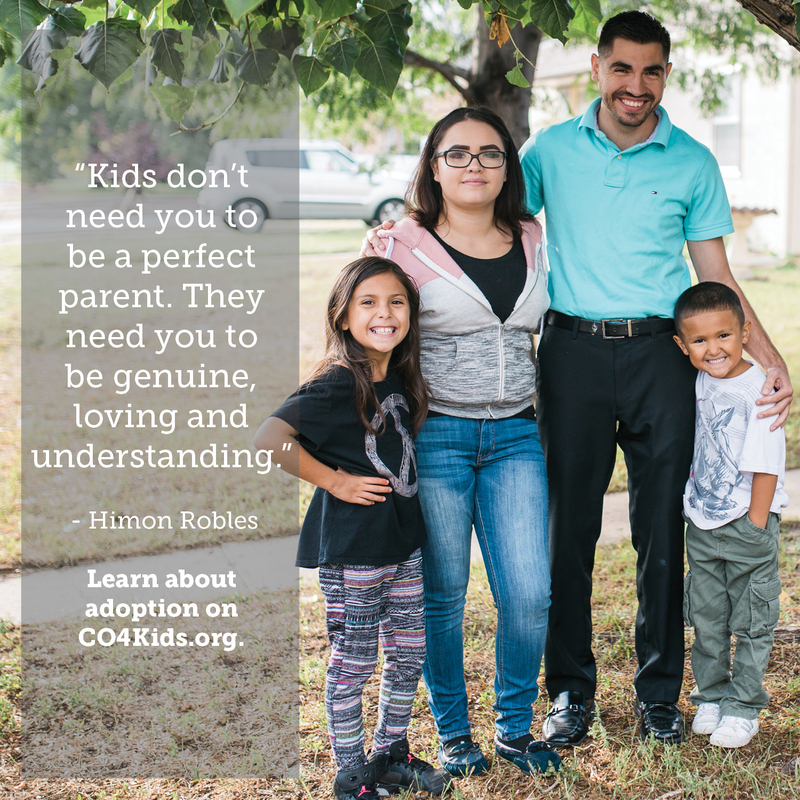 Promote adoption on your Facebook page. 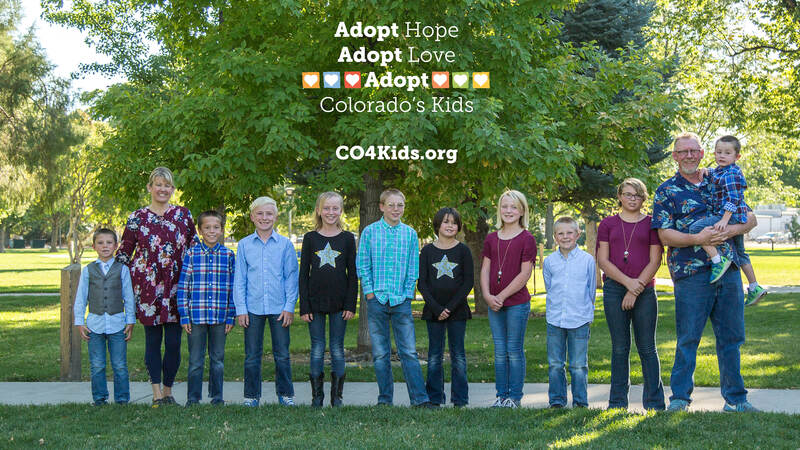 Facebook cover image to promote adoption. Adoptive focused bookmark. Use these promotional bookmarks as giveaways; leave them behind to raise awareness about the need for adoptive parents. Order standard bookmarks or request a co-branded design that includes your contact information. Quote: "People always tell us, “You guys aresuch a wonderfulblessing to the kids.”Quite honestly,they’re a blessingto us!" Adoption focused Bookmark Option 2, in Spanish. Quote: "La gente siempre nos dice: “ustedes son una bendición para los niños”. Honestamente, ¡ellos son una bendición para nosotros!" Adoptive focus, Option 10, Spanish. 11 x 17. Adoptive focus. 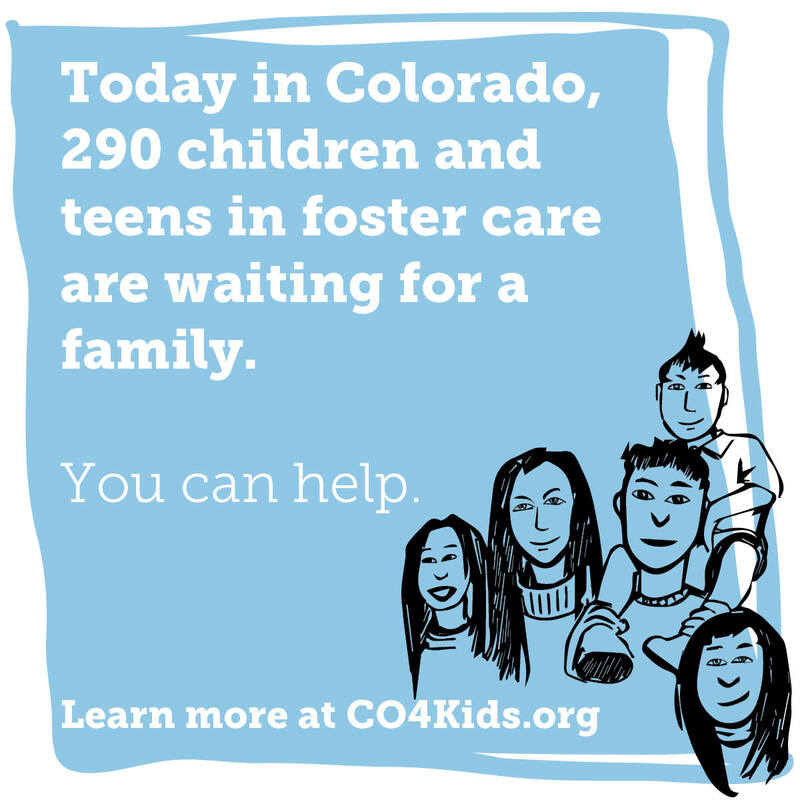 Use these posters to inform public perception, and to tell others how we all have a role to support Colorado kids.